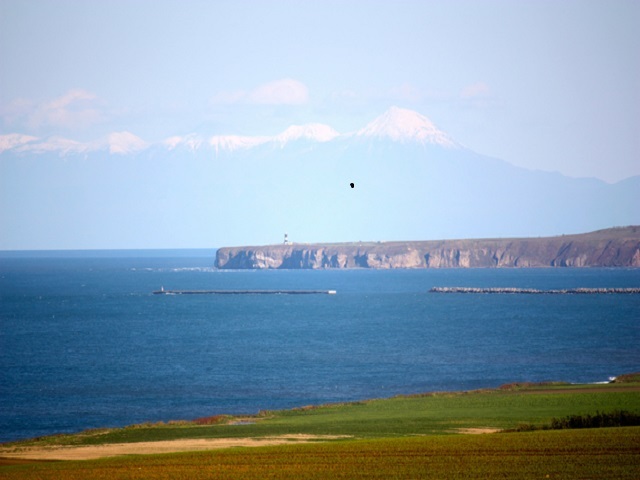 Abashiri-City is at the entrance of the Shiretoko Peninsula which is on the list of World Natural Heritage sites, and well-known for fine weather throughout the year in Japan. 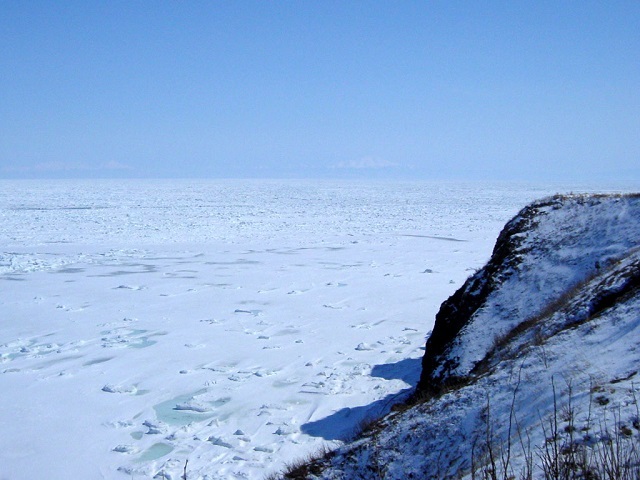 The floating ice is particularly famous. 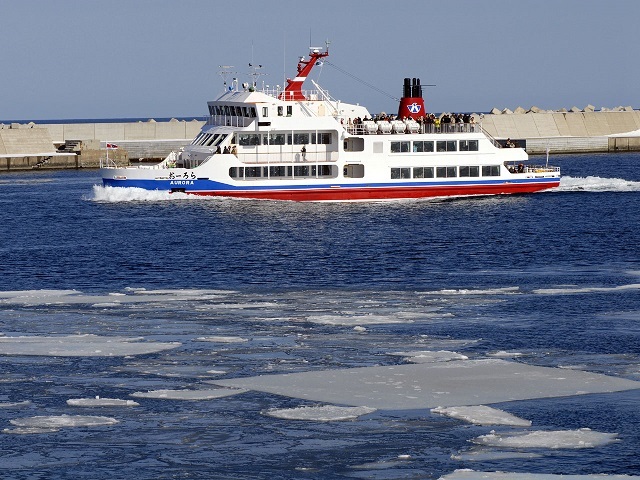 Floating ice comes in February and March every year, but the tour for observing the Floating Ice depends on the weather and wind direction, so the changing condition must be considered before a tour. 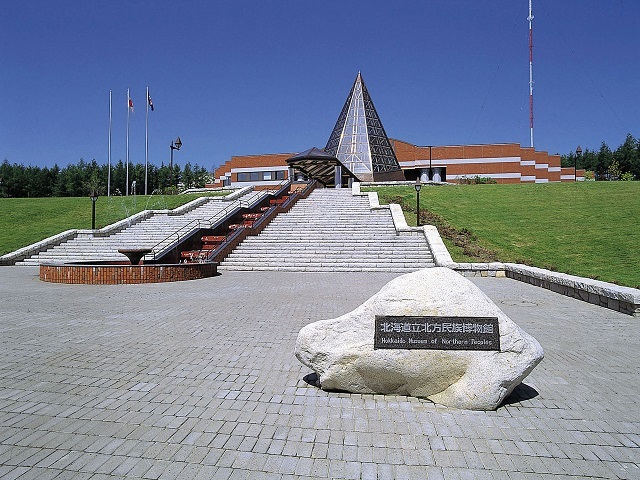 Abashiri is the transport hub in the Sea of Okhotsk area.The airport named Memanbestu has daily flights from Sapporo, Tokyo, Oosaka and Nagoya, Also JR line, Express Buses from Sapporo.It takes 25 minutes from Memanbetsu Airport to JR Abashiri Station by bus. 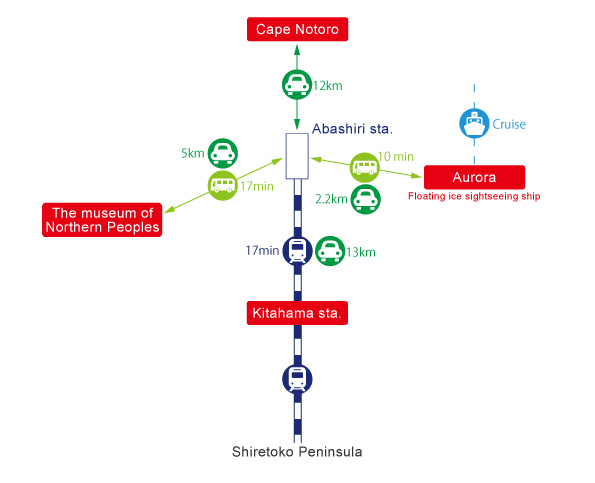 5 hours 20 minutes from JR Sapporo Station by limited express train with 4 trains per day, 3 hours 50 minutes from JR Asahikawa Station by limited express train with 4 trains per day, 2 hours 10 minutes from JR Kushiro Station with 5 trains per day. 5 hours 50 minutes from JR Sapporo Station with 9 trains per day. 5 hours 50 minutes from JR Sapporo Station, 4 hours 30 minutes from JR Asahikawa Station, 3 hours from JR Kushiro Station. 1 hour 45 minutes from Haneda Airport, Tokyo by ANA, JAL, Airdo, 6 flights per day. 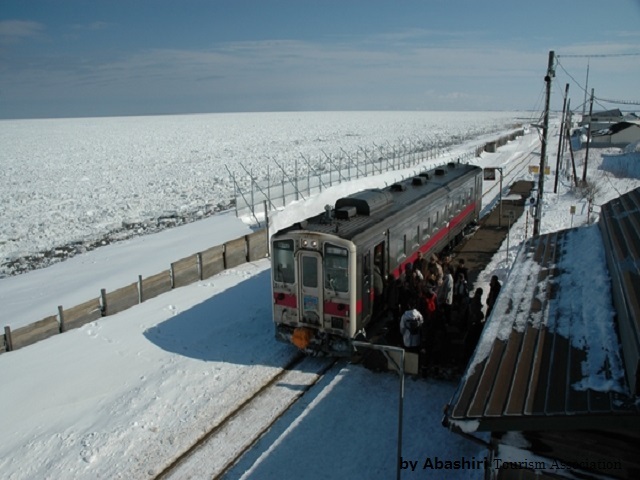 45 minutes from the New Chitose Airport Sapporo by ANA, JAL, 7 flights per day. Besides the above, there are flights from Nagoya and Osaka.It takes 25 minutes from Memanbetsu Airport to JR Abashiri Station by bus.